Visit Roma Medical at the Arab Health 2014 Exhibition which is being held at the Dubai International Convention &amp Exhibition Centre, UAE from the 27th to 30th January. You will find us in the Zabeel Hall stand Z1D30/4. Find us below. 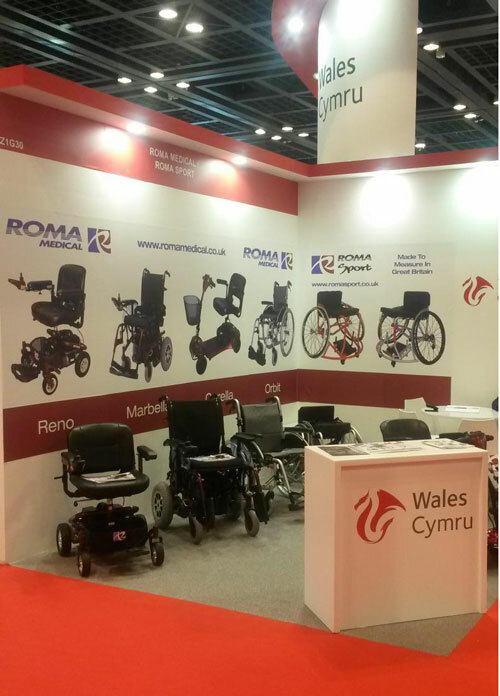 We would like to inform you that the 1247 Roma Foldaway Attendant Wheelchair is now back in stock. For more details or to make a purchase, please call the sales office on 01656 674488, fax on 01656 67449 or email sales@romamedical.co.uk.